Terms & Conditions | Goodness Coffee Co. Thank you for visiting goodnesscoffeeco.com.au. Goodness Coffee Co. provides this site as a service to our customers. Please review the following basic rules that govern your use of our site. Please note that your use of our site constitutes your agreement to follow and be bound by these terms. If you do not agree to these terms, please do not use this site. Although you may “bookmark” a particular portion of goodnesscoffeeco.com.au and, thereby, bypass this agreement, your use of this site still binds you to the terms. Since Goodness Coffee Co. may revise this agreement at any time, you should visit this page periodically to review the terms of your use. Should you have any questions concerning any of our policies, please contact us. This website is expressly owned and operated by Goodness Coffee Co. Pty Ltd (ABN 64 617 808 572) trading as Goodness Coffee Co.  The mailing address for Goodness Coffee Co. is 24 Old Coach Rd Aldinga SA 5173. Unless otherwise noted, all design and content featured on goodnesscoffeeco.com.au — including navigational buttons and images, artwork, graphics, photography, text, and the like — are copyrights, trademarks, trade dress, and/or intellectual property that are owned, controlled, or licensed by Goodness Coffee Co.. The entire content of the goodnesscoffeeco.com.au web site is copyrighted as a collective work under Australian copyright laws, and coordination, arrangement and enhancement of the content. No right, title or interest in any content or materials is transferred to you as a result of any such activities. Goodness Coffee Co. reserves complete title and full intellectual property rights in any content you download, reproduce, print, redistribute or store from this web site. The information on the goodnesscoffeeco.com.au website may contain typographical errors or inaccuracies and may not be complete or current. We therefore reserve the right to correct any errors, inaccuracies or omissions and to change and update information at any time without prior notice (including after you have submitted your order). Please note that such errors, inaccuracies or omissions may relate to product description, pricing and availability. You agree to indemnify, defend, and hold harmless Goodness Coffee Co. its officers, directors, employees, agents, licensors and suppliers (collectively the “Service Providers”) from and against all losses, expenses, damages and costs, including reasonable legal fees, resulting from any violation of these terms and conditions or any activity (including negligent or wrongful conduct) by you or any other person accessing the site using your internet account. You agree that no Comments, submitted by you to goodnesscoffeeco.com.au, will violate any right of any third party, including copyright, trademark, privacy or other personal or proprietary rights(s). You further agree that no Comments, submitted by you to goodnesscoffeeco.com.au, will be, or contain, libelous or otherwise unlawful, abusive or obscene material. You are and shall remain solely responsible for the content of any comments you make. In an attempt to provide increased value to our visitors, goodnesscoffeeco.com.au may choose various third-party websites to link to from its own site. However, even if the third party is affiliated with Goodness Coffee Co., Goodness Coffee Co. has no control over these linked sites, all of which have separate, independent privacy and data collection practices. Goodness Coffee Co. has no responsibility or liability for these independent policies or actions and is not responsible for the privacy practices or the content of such web sites. These linked sites are only for your convenience and therefore you access them at your own risk. None the less, Goodness Coffee Co. seeks to protect the integrity of its website and the links placed upon it and therefore requests any feedback on not only its site, but for sites it links to as well (including if a specific link does not work). Goodness Coffee Co. does not warrant that the function or operation of this website will be uninterrupted or error-free, that defects will be corrected, or that this site or the server that makes it available will be free of viruses or other harmful elements. As a visitor to, and user of, this website, you must assume full responsibility for any costs associated with the servicing of equipment used in connection with the use of our website. As a visitor to, and a user of this website, you, in effect, agree that your access will be subject to the terms and conditions set forth in this legal notice and that access is undertaken at your own risk. Goodness Coffee Co. shall not be liable for damages of any kind related to your use of or inability to access this website.